Doves mate for life, are incredibly loyal to each other and work together to build their nest and raise their young. This fact makes them an excellent choice for wedding themes. 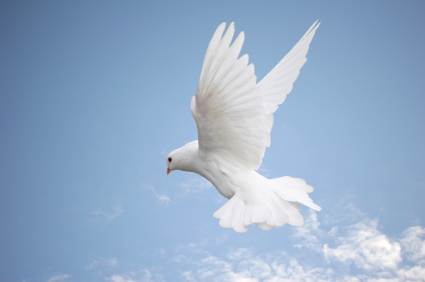 People throughout the world picked up quickly on the idea that doves were dedicated, honorable and continued…peaceful. The dove is a bird of peace, eating seeds, easily trained to eat out of the hand or to become domesticated. Beginning with the Egyptians, the dove was as symbol of quiet innocence. The Chinese felt the dove was a symbol of peace and long life. 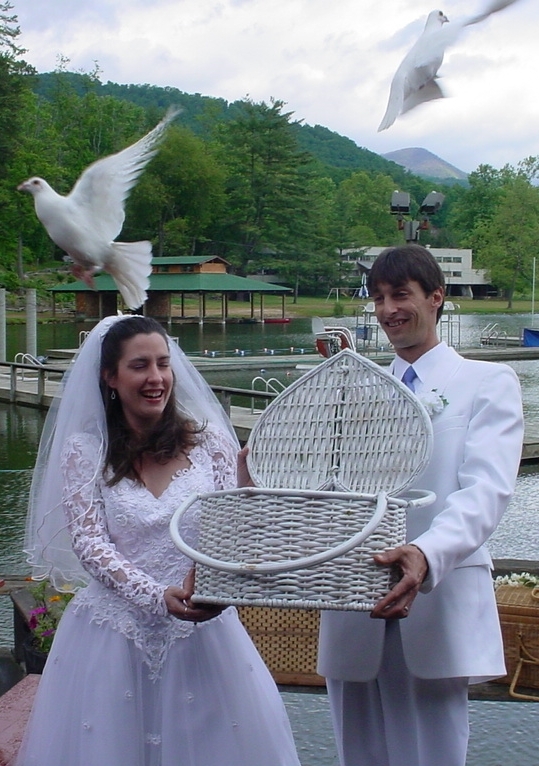 To early Greeks and Romans, doves represented love and devotion, and care for a family. 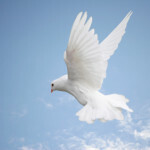 The dove was the sacred animal of Aphrodite and Venus, the goddesses of love. The dove also symbolized the peaceful soul for many cultures.The Bible continued this symbolism, often referring to the dove as an animal representing love, loyalty, fidelity and honesty. The dove is entrusted with the olive branch when Noah hopes to find a new home for himself and his flock. 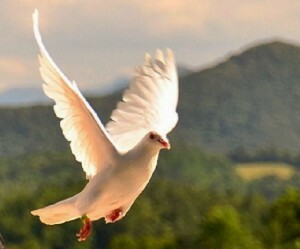 The dove often also represents the Holy Spirit. In funeral or memorial ceremonies the symbolic representation contributes to a memorable visual presentation which brings comfort to those who have lost a loved one. Picasso popularized doves again in the 1950s. 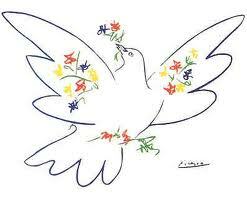 When WW2 ended, he was asked to create an image for the Peace Conference and he chose the Dove of Peace. This became an instant hit and he continued to portray doves for many years. Is it any wonder why the dove is a popular logo and symbol throughout the world? I have always thought that balloons could not be a natural or safe way to celebrate any event. I would never consider throwing plastic or the likes of it on the ground or out my car window knowing that I would be polluting the very planet I live on. So why would I intentionally release a balloon with a string attached to it, in the sky…and forget that what goes up must come down? Many people love watching balloons fade off into the horizon at celebrations whether they are funerals, birthdays, or parades. There is something sweet about witnessing the air currents carry ones prayers and wishes symbolically attached to the balloons into the sky with nature’s wind current slowly carrying them up and away until you can no longer view them. I have personally witnessed how endearing this can be especially for a family suffering from the loss of a loved one. However at what cost is this symbolism and what will remain of the balloon when it finally makes it’s way back to earth? Would you like to know more about why balloons are not the best choice? Read more at the following link where a couple of beach roaming women decided to do something about educating people about the real hazards of releasing balloons. Apparently they personally witnessed with their own eyes the kind of damage “balloon remains” can cause wildlife and habitats. Think twice next time you are considering releasing something in the sky, think about the birds, the one’s you could release (who are trained to come home) and the one’s you may kill as a result of releasing those balloons.